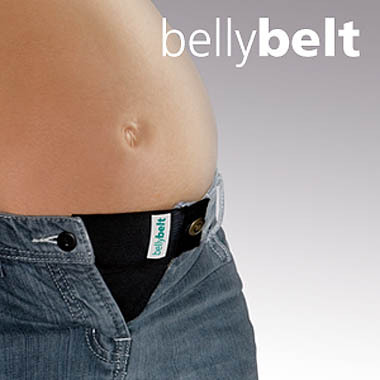 Atlas Pregnancy Band from Cinch The Band Specialists | Amazing support for your pregnant belly! Atlas 2-IN-1 Combo is the world's only pregnancy band that transitions into a complete 360 postpartum band, back support, plus hip shaper. It adjusts as your body expands and shrinks. Atlas offers support and uplift during pregnancy and is a proactive wrap for health goals after baby is born. Atlas is to be worn outside of a camisole. If you would like our Atlas pregnancy band, and can afford a little more luxury you can choose our Atlas PB and Cinch postpartum luxury wrap. (Mayo's Clinic) Studies have shown that when new moms have better posture while pregnant especially during the 3rd trimester; it will help new moms with stamina and core strength for an easier delivery. If the spine is more erect, it will help decrease swelling, improve circulation and reduce back pain. In the 3rd trimester, women have typically gained about 25-35 pounds and there is a tendency to feel easily tired and 1 out of 10 pregnant women have back pain.